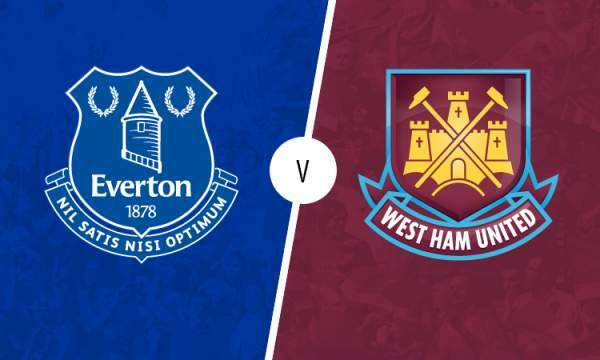 It is the 34th match day of the Premier league and today we have West Ham United hosting Everton at the London Stadium for their game. West Ham United are currently 13th on the table with 37 points from 33 games, below on goal difference from Leicester City and one point above Burnley. On the other hand, we have Everton who are currently seventh on the table with 57 points from 33 games, below on goal difference from Arsenal and 13 points above West Bromwich Albion. Andy Carrol is a doubt for the Hammers with a groin injury. On the other hand Sakho could get his first start since November. Sam Byram and Mark Noble are both suspended but Winston Reid returns after five weeks. The Hammers have won once in nine matches, but are unbeaten in the last two after losing five on the trot. Michail Antonio is their top scorer in the league with nine goals to his name. Andy Caroll and Manuel Lanzini both have seven goals each. West Ham have scored 18 goals at home this season, eight less than their away record. Everton’s on-loan forward Enner Valencia would be ineligible to face his parent club. James McCarthy may not be able to start again this season with a hamstring injury. Besic is close to a return after missing the entire campaign with a knee injury. Everton are currently winless in their five away games, losing two and drawing three games. Romelu Lukaku has scored once in each of his nine appearances against West Ham United. Everton can win this but it won’t be easy to win at the Hammers home.